Rarely in our township of Rochester, does an opportunity arise to purchase a building of this historic magnitude. It is simply stunning, inside, and out! 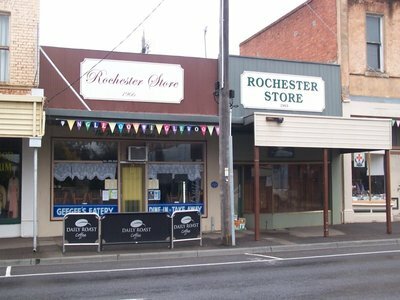 With the exterior of the building fronting two main streets in Rochester, it is a centre piece of our town, exhibiting the superb craftsmanship and adornments of yester-year. Arched windows, highly decorative plaster work and large wooden entrance doors all compliment this historic building. The interior of the building has many historic features, is solid underfoot on both the upper and lower storeys and is in good condition considering its age. Built in 1914, this quality building lends itself to being to renovated & transformed into many different things. Think…. Boutique Hotel, Bed and Breakfast, Café, Restaurant, Functions? Or maybe you’d just like to call her your own. With some cosmetic changes, hard work and of course some $$$, you will be proud to own this property of superb quality and sheer elegance. 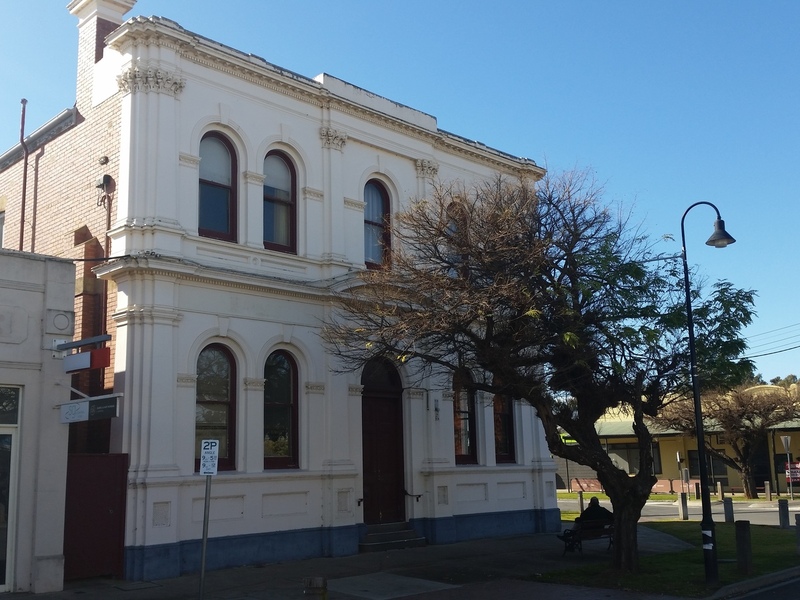 The building itself is the historic Commercial Banking Company Building Circa: 1914, and most recently was the former National Australia Bank building. It is a 5 bedroom, two storey home set on a 287m2 block in the heart of Rochester. Ornate mantel pieces and fireplaces compliment this magnificent building upstairs and down. Downstairs of the building features a spacious (former banking area) with banking furniture & fittings, carpet & highly decorative ceilings approx. : 16ft-18ft high. There is evaporative cooling throughout this area. Next door is the old walk in strong room/ vault area, with a ‘secret room’ above. There are two separate toilet areas, both with basins and lino flooring. The two kitchen areas feature an upright Elec stove & cupboards plus an adjoining kitchenette with sink and additional cupboards. The downstairs lounge Room has carpet and an ornate Mantel Piece. There is a Large “backroom” with hardwood floorboards and a smaller rear vacant room. Leading up to the second storey is a stunning wooden staircase onto a large open landing with a large walk in storage/ linen cupboard. There are two spacious master bedrooms, with fireplaces and beautiful mantel pieces complimenting each, and views from large windows overlooking the township of Rochester in different directions. The 3 additional bedrooms have floorboards and timber lined ceilings, one with a fireplace and mantel piece. There’s an additional spacious, light filled, North facing rear room with floorboards. The upstairs bathroom has an older style basin, bath, and shower over bath. Opportunities to purchase a stunning historic building like this don’t come up often. Take this chance to inspect this striking Rochester landmark and plan to make it your own. Give Nicki Henderson a call today on 0429 796 054 or Tony Hooppell on 0427 842 228 to make an appointment; you won’t be disappointed.